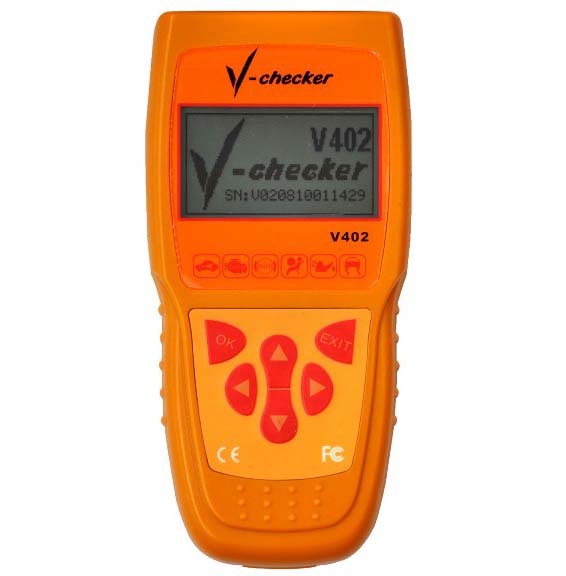 V-checker V402 is a VAG special tool for all vehicle modes of VAG family including Audi, Volkswagen, Skoda,Seat. 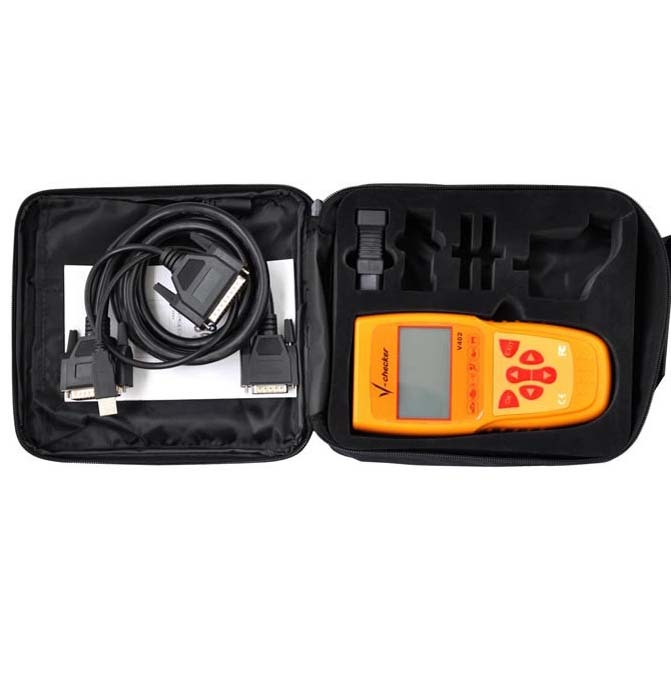 The product is capable of troubleshooting nearly 100 electronic systems such as Engine/transmission/airbags and ABS. 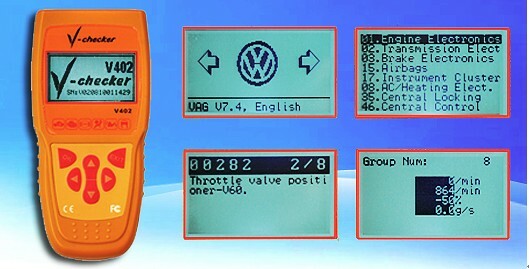 The devices provides powerful functions like retrieves ECU information, reads DTCs, displays live data stream, clears DTCs, basic system adjustment, channel adjustment, reads independent channel data, test actuator, programs control unit, system log and sends chassis number. V402 is equipped with standard OBD-II diagnose software, VAG special diagnostic software and VAG dashboard reset software. 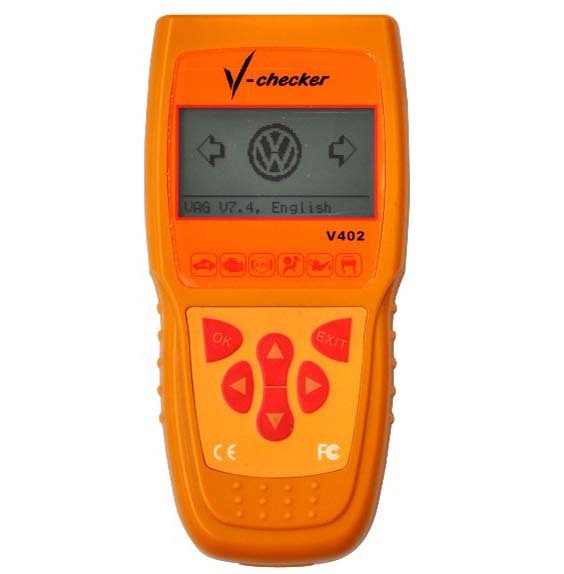 Works with all modes of Audi, Volkswagen, Skoda and Seat. 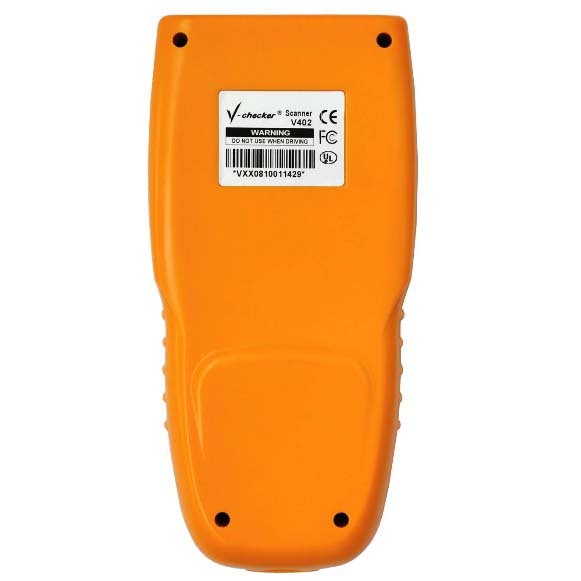 Supports KWP1281, KWP2000, CAN Bus and UDS protocols. Applicable for nearly 100 systems: engine system, transmission system, ABS, Brake systems, air bag systems, air conditioning systems, burglar alarms, ultrasonic monitoring system, clutch control, suspension systems, directional control, steering wheel assistance, central locking control, shock absorption system, dashboard system, auxiliary heating, distance control, Gateway data bus , electric window system, light control left and right light control, navigation system, internal testing, the central module, automatic light switches, electric drive, battery control, emergency call module, parking assist, electronic control unit, four-wheel drive, anti-skid control , the driver's seat adjustment, diesel pump system, headlight control, radio, tire pressure control, seat / Mirrors, battery charging, electric wipers, electric drivers door , electronic co-driver door, left rear door electronic control, electronically controlled right-rear, brake booster, brake assist booster, rear spoiler, access and start control, the front passenger seat adjuster, display control unit , the rear display control unit, TV tuner, voice control, car phone, electric sunroof, rear driver side seat adjustment.